better conditions than regular livestock cattle. They live a luxurious life before going to the bull ring. 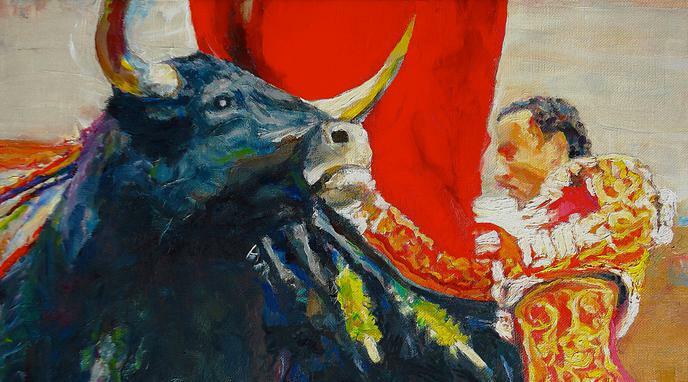 If there was a ranking of cruel practices to be banned created by a valid authority based on the % of time spent suffering, 'toros bravos' (bulls) would not be in the fist half of the ranking, because they just suffer 0,00046% of their life (20 min. out of 5 years). So, there are many other activities to be banned before that one and we should focus on them. Bullfighting bulls experience only 15 minutes of fierce and stressful combat while livestock experience a lifetime of horror. Cruelty and torture become no more ethical because of what happened prior to that. Just because they have it better than livestock cattle doesn't justify the violence being done to them in the name of entertainment.